AC Milan are reportedly expected to wrap up the signings of Ricardo Rodriguez and Lucas Biglia this week, although a move for Alvaro Morata is in danger. The Rossoneri have already brought in Mateo Musacchio and Franck Kessie, but their bid to strengthen the squad is far from over as more new arrivals are expected. Follow Sumeet on Twitter @SP_Calcio for all the latest AC Milan talk and transfer news. 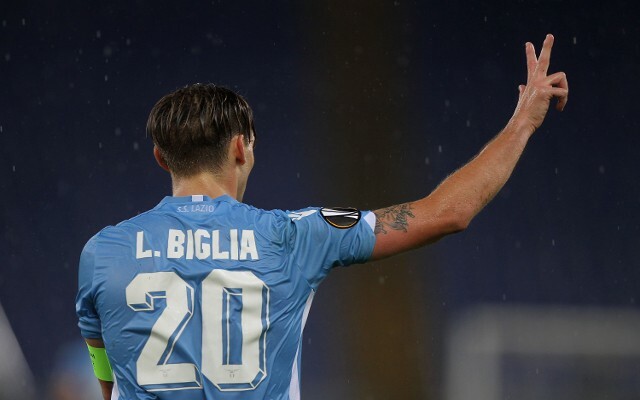 According to Calciomercato, the most likely deals to happen this week are for Rodriguez and Biglia, although it seems as though there is still a little negotiating to do over their respective transfer fees. It’s a similar case in both in a sense, as the two players are entering the final 12 months of their contracts, and so Milan are keen to bring down their valuation to make it a sensible deal for them. With Rodriguez, it’s reported that he has a €22m release clause, but Milan are eager to only pay €15m plus bonuses for the 24-year-old as they look to find a long-term solution to their problems at left-back. As for Biglia, it’s claimed that personal terms have been agreed on a contract worth €2.5m-a-year, but again, Milan are keen to drive his price-tag down from €25m to around €20m including bonuses. Particularly in the case of the Lazio captain, something has to give as that is a lot of money to spend on a 31-year-old, regardless of how big an instant impact Vincenzo Montella and the hierarchy believe he can make. Having secured two really impressive deals for Musacchio and Kessie already, with the figures involved also very reasonable, it’s hoped Milan don’t now overspend this week. Meanwhile, sticking with Calciomercato, it sounds as though it’s becoming more and more unlikely that Real Madrid striker Alvaro Morata finds himself at Milanello this summer. While Sky Sport Italia continue to backtrack, Alfonso, his father, has now confirmed that Manchester United are the only side to have shown a real interest in signing his son when responding to a Spanish journalist on the matter. “I know for certain that Manchester United are the only club that want Morata, nobody else,” Paco Gonzalez of Cadena Cope noted. “How do you know that? You are a great journalist, but I must stay silent and say nothing more,” Alfonso Morata responded. In turn, it looks as though Milan may have to start looking elsewhere unless there is another twist in the tale.